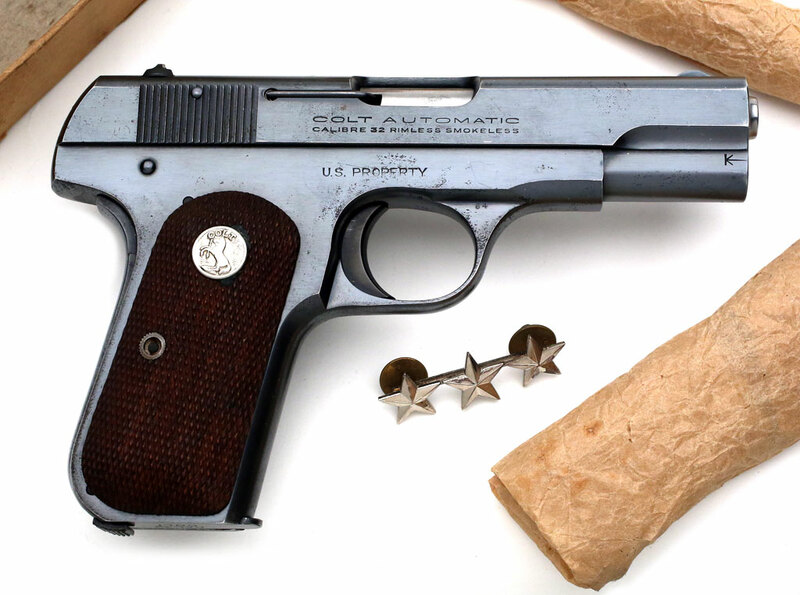 Colt Model 1903 Pocket Hammerless .32 ACP serial number 558369 - U.S. Property marked pistol with original blue finish, issues to LTG Robert Milchrist Cannon in 1954. 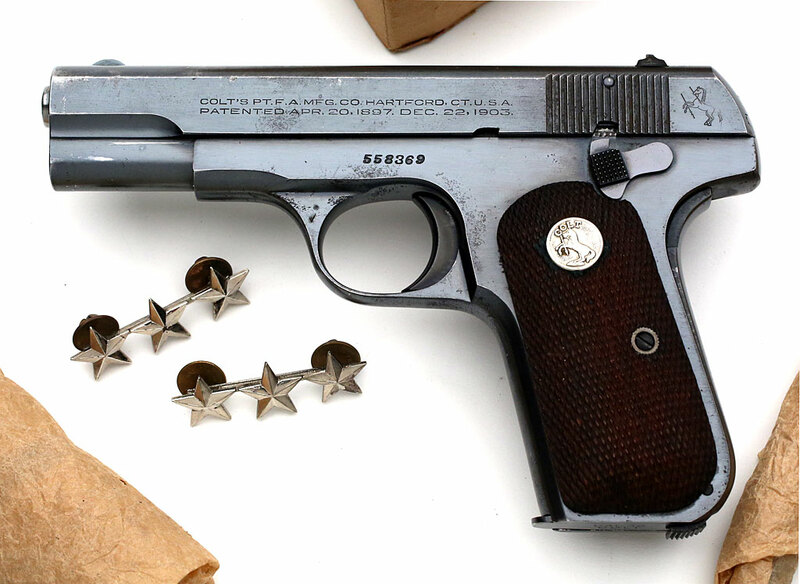 Pistol has punch-dot ordnance mark on the left side of the trigger guard, just above the Colt Verified Proof mark "VP". A member of Utah's prominent Cannon family, LTG Robert Milchrist Cannon was born on August 16, 1901 in Salt Lake City, Utah. General Cannon attended the University of Utah for two years before transferring to the United States Military Academy. He graduated in 1925, received a commission as a Second Lieutenant in the Field Artillery branch, and was initially assigned to Fort D.A. Russell, Wyoming. In 1927 Cannon completed the Army Air Corps Primary Flying School. While stationed at Fort Sheridan, Illinois in 1928 Cannon married Josephine Riter (1902–1991), a member of another family prominent in Utah. General Cannon attended the Battery Officers Course in 1931. In 1938 Cannon graduated from the Army Command and General Staff College. Prior to World War II Cannon served as an instructor at the Army's Fort Sill, Oklahoma Field Artillery School. In World War II Cannon served in the China-Burma-India Theater, advancing to brigadier general and chief of staff for the Northern Combat Area Command. After World War II Cannon served as chairman of an Army board which interviewed and made recommendations on applicants for commissions as officers. He also served as Assistant Chief of Staff for Logistics, G-4 for Sixth United States Army. In 1948 Cannon attended the Basic Airborne Course in preparation for his assignment to the 82nd Airborne Division, afterwards taking command of the Division Artillery. 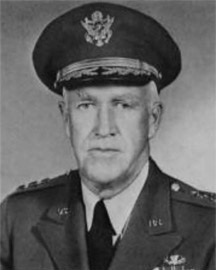 General Cannon served as commander of the U.S. Army Advisory Group in Turkey from 1951 to 1952. From 1952 to 1953 Cannon was head of the Army Audit Agency. Cannon then served as Chief of the Joint U.S. Military Advisory Group which advised the Philippine government during its effort to stop the Hukbalahap insurgency. Following his Philippines assignment, Cannon was appointed Service Special Assistant to the Joint Chiefs of Staff for Mutual Defense Advisory Pact Affairs. Cannon served as deputy commander and chief of staff for United States Army Pacific, receiving promotion to lieutenant general. 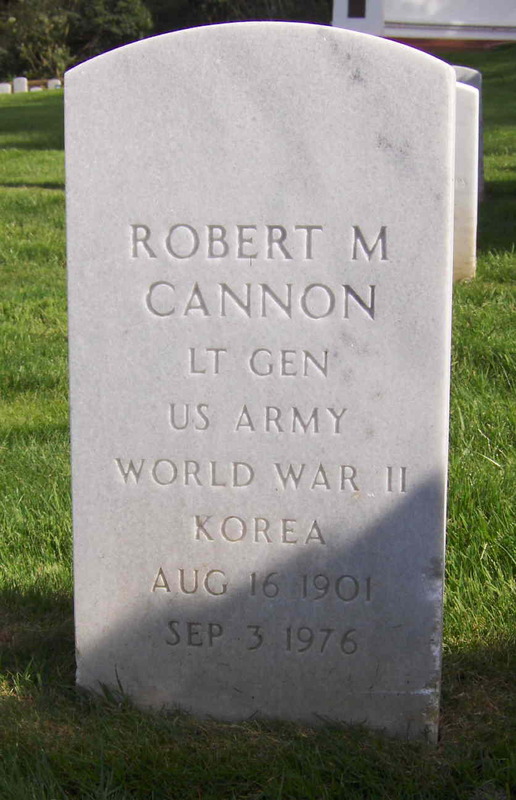 In 1958 General Cannon was a participant in the ceremony used by the Army to select World War II and Korean War remains for placement in the Tomb of the Unknowns. From 1959 until his 1961 retirement General Cannon served as commander of the Sixth United States Army. General Cannon's awards included the Distinguished Service Medal, the Legion of Merit and the Bronze Star Medal. General Cannon retired to San Francisco. He died in Norwalk, Connecticut on September 3, 1976 after being stricken while visiting his daughter in Connecticut. He was buried in San Francisco National Cemetery, Plot H-35.